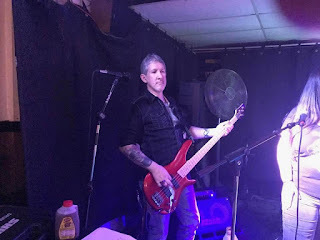 Helping Hands Rock Reviews: Meet The SuperSharer: Don F! Don is the bass player for Fools Errand and a self-proclaimed lover of all types of music. Why does Don particularly love Pittsburgh music? "Pittsburgh has some great bands that provide many types of music," Don says. "All the bands that I've come in contact with have some great people involved that are happy to be involved with their fans and friends in other bands."